Here’s another report from the American left-wing news site, The Young Turks. And it tells you everything you’ve always suspected about right-wingers both in the USA and over here: they really do want to kill the poor. The offensive posts turned up on the Facebook page of Chris Barnett, who is running to be governor of Oklahoma. After a poll on the requirements to get food stamps, Barnett then apparently stated that euthanasia would be a solution to the ‘issue’ of the poor and disabled. This really did not go down too well with large sections of the general public. One person posted that most people on food stamps were actually in work, and those that weren’t also included the elderly and disabled. This met with the reply asking why ‘we’ are required to keep them? He went on to say that ‘euthanasia is cheaper and doesn’t make you a slave to the government’. Barnett then met with such a barrage of criticism, that he’s issued a statement blaming the posts on that old excuse: his Facebook page was hacked into. Ana Kasparian and Cenk Uygur, the two anchors reporting the story, make the point that this is unconvincing. A random member of the public wouldn’t know the codes to get into his account. He could have blamed one of his staff instead, but this would have meant throwing the staffer ‘under the bus’. Unless it was the staffer, who really did it. He then made a further statement that what he meant was the poor and disabled shouldn’t be killed, but should simply be left to starve. They also find his excuse unconvincing, because if you look at Republican webs sites and pages, so many of them are saying exactly the same thing. It therefore looks very much like Barnett did post those comments, unbelievable as they are. This will also corroborate what Mike, Geoffrey Davis, one of the commenters on my Blog, and so many other disabled people, carers, and disability rights activists, that the Tories over here are also engaged in a policy Mike has termed ‘chequebook euthanasia’. The Tories are throwing extremely vulnerable people with no other sources of income off benefit, through sanctions and the wretched work capability tests, in the hope that they will starve to death. A thousand or so have. Mike, Johnny Void, and Stilloaks, as well as the Angry One from Yorkshire, Another Angry Voice, have posted up the lives and biographies of those who have, or worse, committed suicide in despair. Stilloaks compiled a list of these victims, which was reblogged by the others. The last time I looked it was around the 750 mark. And that was some time ago. I expect it to be approaching a thousand now. And Tweezer and the rest of her foul crew are still saying that these deaths have nothing to do with the benefits system, even though many of the suicides left notes declaring that it was precisely because of the benefits system that they were taking their lives. No, no, move on, you ignorant proles! Nothing to see here. We’re totally blameless, and in the right, because we’re helping you find work with our return to the less eligibility policy of the workhouse. The Tories and the Republicans have very strong contacts with each other, and the Tories have been taking over Republican and Libertarian policies. Like the privatised police force. That was one of Rothbard’s brilliant idea, the founder of the Libertarian party in the America. The same Libertarian party, whose members include one of the billionaire Koch brother, and which in the 1970s ran a special issue in its magazine denying the Holocaust. Ctesias, who is, like Geoffrey Davis, one of the great commenters on this blog, also pointed out that the Tories also seem to have taken over the ideas of one Canadian right-wing philosopher, Gauthier. This piece of work wrote that the poor woman starving at the gates of a rich man feasting, has no call on his wealth, especially as it would deprive him of the pleasure of feeding the crumbs to the birds. It’s a complete inversion of Our Lord’s parable of Dives and Lazarus, in which the rich man, who ignore the poor man at his gate, goes to hell after death while the poor man enters heavenly bliss with Abraham. So much for the Christian Right’s concern for true Christian values! A little while ago Tweezer’s choice for a universities’ watchdog, to make sure democracy wasn’t being stifled by all those nasty left-wingers on campus, Toby Young, was revealed by Private Eye as having gone to a eugenics conference at University College London. Yup, Tobe’s big on eugenics. And some of the others were far more extreme than he was, connecting it to race and IQ. I’ve commented before that the Republicans and Conservatives are Social Darwinists, just like the Nazis. They see poverty and wealthy purely in terms of biological and economic fitness. The rich are there because they’re biologically superior. And the poor should be prevented from breeding, because they’re biologically unfit and so will only spread poverty. It was one of the ideologies in the 19th and early 20th century that was used to oppose health and safety legislation for working people, and the establishment of any welfare benefits. It led to the sterilisation of the poor, disabled and mentally challenged. And these policies were taken over by the Nazis, who claimed that they had made absolutely no innovations when adopting them. And the endpoint of that was the murder of the disabled by the SS and Nazi doctors under the infamous Aktion T4. This was abandoned after a massive public outcry, especially by Roman Catholics led by Count Galen. But the murders didn’t stop, and the programme led eventually to the wholesale gassing of the Jews in the extermination camps. Barnett may not have posted those vile comments, but they do speak for the Republican and British Conservative mindset. A mindset that is killing the poor and disabled by starvation, all while claiming just to be reforming and making the welfare state more efficient. They’re lying. The true attitude to the poor is shown by the number of deaths they’ve caused, and the quarter of a million more people, who’ve been thrown on to private charity in the food banks. Get them out before more people die. This is another fascinating little video from RT’s Going Underground. Host Afshin Rattansi talks to the former cabinet minister under Blair, Chris Smith, above his decision to oppose the Invasion of Iraq, his work in the Advertising Standards Authority, and Brexit. 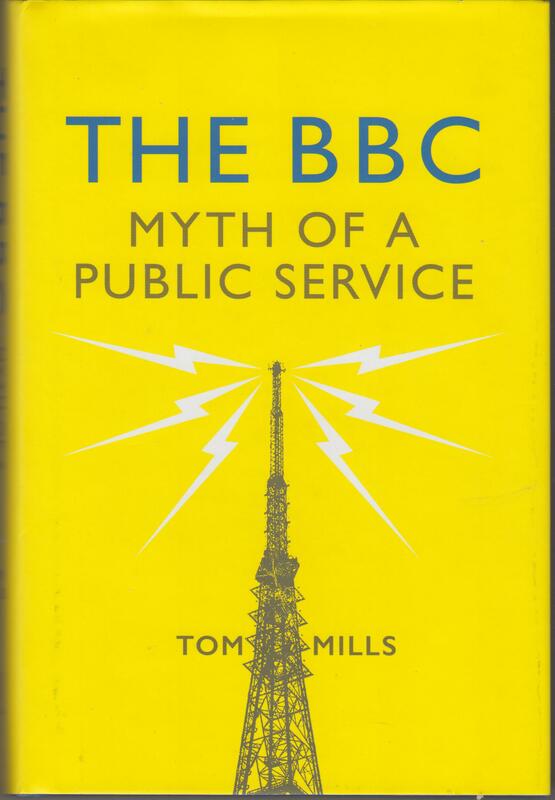 Smith was Blair’s Culture Secretary, and the author of a book, Creative Britain. The cover showed him wielding a professional movie/TV camera. He states he opposed the Iraq invasion because it was ‘obviously the wrong the policy’. He also states that during his time with the Advertising Standards Authority, people wrote in asking them if they could possibly act against the misleading political advertising in elections. Smith states that this is sadly impossible. Their constitution limits them to commercial advertising only, and they have no power to prosecute or punishment politicians that lie. On the subject of Brexit, he and Rattansi clearly hold different views. Smith appears to be a Remainer, while Rattansi believes that the EU is unreformable. Smith states that it was ludicrous to leave such a powerful grouping of countries. As for reform, this very much on the agenda now, with Macron advocating a series of them. After leaving office, Smith was elevated to the Upper House, and Rattansi asks him how the Lords will handle the government’s Brexit legislation. Smith states that they won’t challenge democracy, but they will scrutinize it very thoroughly to make sure that Britain gets the very best deal. And he states clearly that they will also examine very carefully the government’s Repeal Bill, which gives the government massive powers in all areas of life. This interview is worth watching for Smith’s statement how people have written to him and the other members of the ASA because of the lies disseminated by the political parties. He didn’t mention them, but the most flagrant falsehoods have been made by the Tories and UKIP. Mike, Johnny Void, Tom Pride, and the Angry Yorkshireman, as well as DPAC, Stilloaks and others too many to mention here have spent years debunking and critiquing the lies spouted by David Cameron, Theresa May, and their Lib Dem enablers before the coalition broke up. The worst and most pernicious of these lies has arguably been against the disabled, defending a brutal and malign assessment system, which has seen millions of genuinely disabled people thrown off the benefits they need, simply because Blairite, and then Tory dogma, dictated that they had to be malingerers. This has left thousands in desperate poverty, and in hundreds of cases it result in that person’s death from starvation and misery. And despite the fact that some of these poor souls actually wrote down before they ended their lives with their own hands that they were driven to do so by the assessment system, Iain Duncan Smith, Damian Green, Esther McVie and the rest of the vile crew infesting the DWP have denied that there is any link between their deaths and the work capability assessment. And the lies the Tories are spreading against the disabled are whipping up hatred against them. Thanks to the rags like the Heil, Scum and Depress informing their readers that the benefits system is awash with fraud when it really isn’t, disabled people have been subjected to increasing abuse and physical assault. Many of Mike’s disabled readers have posted comments describing their own experiences, or those of the people they care for. And I’ve heard the same thing from disabled friends of mine. And then there’s the lies told by the DWP to defend the indefensible sanctions system, which has seen millions thrown off much-needed welfare support and onto food banks to keep body and soul together. These are imposed for the most trivial reasons, such as being a few minutes late. In very many cases there were extremely good reasons why the person could not make their interview: they were in hospital, or there was an emergency with a sick child. It makes no difference. They’re still sanctioned. Whistleblowers have said that there is a quota in place, so that Jobcentres must get a set number of people off their books. Those clerks, who have stopped the most people from receiving benefit get rewarded with Easter eggs and marshal’s stars. But the Tories go on lying about this as well. Last week, the head of a jobcentre in Scotland claimed that Jobscentre staff weren’t cruel and heartless, but carried out their duties, including the imposition of sanctions, in ‘a supportive way’. You what? Too many people have made it clear that the treatment they receive by these wretched petty bureaucrats is deliberately demeaning and humiliating for this to be remotely credible. I’ve experienced it myself. And Thatcher even said that she wanted the welfare system to go back to the old attitude that the poor were to be discouraged from relying on the state aid to become more self-reliant and look for work. This is less eligibility, the ideology on which the workhouses were run. As for the official unemployment figures, this have been subjected to political interference ever since Thatcher came to power nearly four decades ago. They are so unreliable that I give absolutely zero credence to the Tory claims that our unemployment rate under them is somehow miraculously low. Mike has himself put up the arguments from other economists and political activists showing that the real figure is much higher. And the Tory Brexiteers are lying again now. Remember how BoJo the Clown told us that we gave £350 million a year to the EU – which was itself a lie – and then said on the Leave Campaign’s battle bus that if we voted to Leave, it would all be spent on the NHS? That was a lie. We left, and it hasn’t been. And Boris the Menace then went on air and the press to huff and puff in his Eton-cultured voice to say that he hadn’t made that promise at all. They just meant that it could be spent on the NHS, and things like it. And now he’s back, repeating the same lie. He really has absolutely no shame. I’d say it was amazing, but it really isn’t. He’s a liar from an entire party of liars. These are people so crooked, that to borrow a phrase from Hunter S. Thompson, they have to get their aides to screw them into their pants in the morning. It’s time to stop the lies, and end the culture of lying. It’s time to vote for Corbyn and a revived Labour party and get them into government.